Is Trump’s second immigration ban unconstitutional? Assessing the legal challenges to the new executive order. 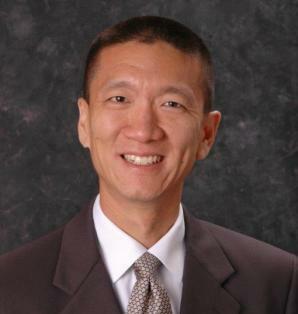 Hawaii Attorney General Doug Chin. Donald Trump’s first take at a travel ban was met by a hurricane of lawsuits filed hastily in courts all around the country. Within weeks, the 9th U.S. Circuit Court of Appeals had refused to set aside a nationwide temporary restraining order on the theory that the executive order likely violated the constitution. While sending out lawyers to fake-challenge that decision in court, the Trump administration tweaked the old order, unveiling it this week as a new, improved, supposedly constitutionally sound version. The new order was drafted, it seems, with the 9th Circuit per curiam opinion in one hand and a bottle of Wite-Out in the other. It temporarily halts the U.S. refugee program and puts the kibosh on new visa applications from six predominantly Muslim countries—Iran, Syria, Somalia, Sudan, Yemen, and Libya. Iraq has been removed from the list. Unlike the chaotic first effort, the new ban does not apply to anyone with green cards or those who already have visas. Language suggesting a preference for Christian minorities from majority-Muslim countries is gone. It’s now up to the judges to decide how much that Wite-Out covered up. It took just more than a day for Trump’s second pass at the travel ban to get hit with its first legal challenge, filed by the state of Hawaii. Shortly thereafter, lawyers for the state of Washington asked the federal district court that had issued the original restraining order on the first travel ban to apply it to the revised ban as well. Lawyers for Hawaii, which had filed a lawsuit challenging the first executive order, filed an amended 40-page complaint on Wednesday seeking a temporary restraining order blocking two sections of the new one. A federal judge, Derrick Watson, has approved an expedited briefing schedule that will ensure the case is heard before the new executive order goes into effect on Thursday. That means President Trump’s lawyers will be back in court next week. They will not merely be attempting to defend the new travel ban. They’ll be trying to explain that it’s an entirely new creature. The revised complaint is a holdover from the state’s earlier challenge to the travel ban, filed on behalf of Hawaii’s “residents, its employers, its educational institutions, and its sovereignty” as well as a Hawaiian imam of Egyptian descent who claims the new order inflicts a “grave injury” on his family and members of his mosque. His mother-in-law, a Syrian national, visits frequently. The suit claims that “this second Executive Order is infected with the same legal problems as the first Order—undermining bedrock constitutional and statutory guarantees.” The petition says the order treats Muslims in the state as “second class” citizens, in violation of the U.S. Constitution and the Immigration and Nationality Act. The complaint is rooted in Hawaii’s longstanding solicitude for diversity and immigrants, noting that “Hawai‘i is the nation’s most ethnically diverse State, and is home to more than 250,000 foreign-born residents.” As the complaint notes, “more than 100,000 of Hawaii’s foreign-born residents are non-citizens.” The complaint notes the impact of foreign tourism on the Hawaiian economy, then turns to Trump’s promises of a Muslim ban. Specifically, the complaint contains eight pages’ worth of comments by Trump and his surrogates indicating that this is still a Muslim ban—that it’s still effectively the same order with cosmetic changes. Meanwhile, Washington’s Attorney General Bob Ferguson is making the simple argument that the temporary restraining order on the original travel ban should stay in place—that it’s not up to the president to declare he has cured all the constitutional defects of his first ban. What Bob Ferguson has done here is shift the burden back on to the Department of Justice to prove the order is fundamentally different. That’s tough to do, he says, when at least two provisions are all but identical to provisions already enjoined. Legal experts who have studied the new travel ban concur that many of the constitutional infirmities of the original have been cured. But Washington state, with its sly reminder of President Trump’s earlier attacks on the judges who heard the case, is counting on the fact that while you can reboot a travel ban, you can’t reboot the judicial branch. The judges who hear the new cases will be aware of Trump’s persistent undermining of judicial independence. Some of them probably won’t care. But some of them will. Given Trump’s extracurricular promises to create a Muslim ban, followed by his open efforts to rejigger the Muslim ban into something that merely appears lawful, these judges may just be open to looking behind the sanitized rationales and more limited reach of the new order to determine what it’s really attempting to do. The last time a court slapped him down, the president threatened to “see you in court.” There is no better place to determine what role judges will play in Trump’s America.